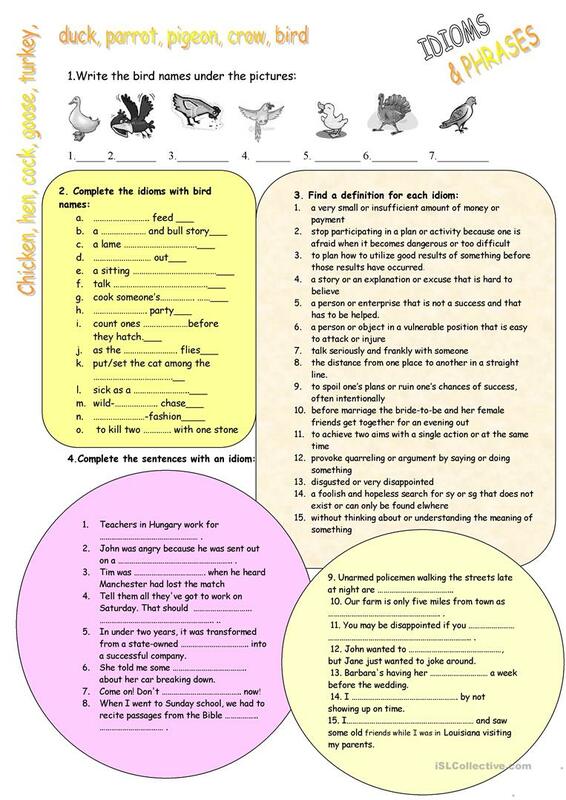 This is a worksheet with bird idioms.There are three exercises: matching,, definition and contextualisation. This downloadable teaching material is a great resource for high school students at Pre-intermediate (A2) and Intermediate (B1) level. It is useful for working on your learners' Speaking and Reading skills. It centers around the topic and words of Animals. You will find the solution at the end of the worksheet.